It's our revolutionary all-mountain ride. Light, fast, highly adaptable, totally intuitive and beautiful to ride. 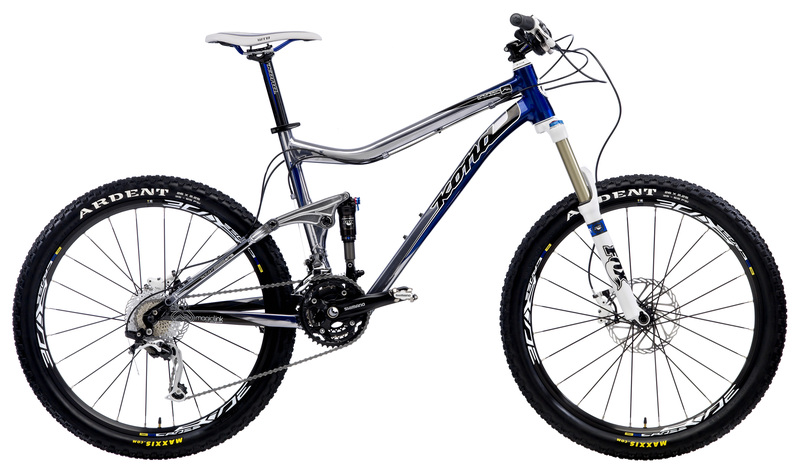 Using our patented Magic Link rear suspension technology, which features the ability to react to rider and trail forces, adjusting geometry, travel (100mm to 160mm) and suspension performance (stiffer on the climb, plusher on the down), the Scandium Cadabra is one of the most automatically customizable bike's ever invented. New for 2011, a lower bottom bracket, longer top tube, Avid Elixir 5 brakes, and an adjustable Fox Talas fork with lock out. Sizes 14", 16", 17", 18", 19", 20", 22"
With the ability to change geometry, travel and suspension on the fly, Kona's patented Magic Link Active Geometry represents a new era in dual suspension mountain biking. Released in 2008, Magic Link is a completely intuitive system. It's always on. You and the trail are the switch. Climbing: Increased pedal pressure keeps the Magic Link's auxiliary shock from engaging, retaining good pedaling geometry and firmer suspension characteristics. Everything you need for comfort, traction and efficient power transfer. Cross-country: Tire drag, faster corners and bigger bumps cause the Magic Link's auxiliary shock to move deeper into its travel. Chain stays elongate, the saddle and bottom bracket lower, and the head tube slackens, all amounting to an agile, confident riding position, with increased wheel traction and plusher travel. 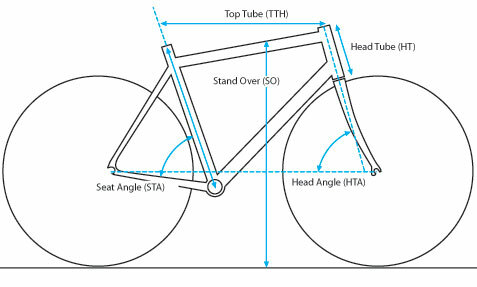 Descents: When the main shock and the auxiliary shock fully engage, Magic Link allows the bike's geometry to slacken considerably, enabling the rider to position themselves further behind the bike, with a lower center of gravity and extended rear triangle for increased stability. Variable Spring Rate: Throughout all three modes, Magic Link's two separat e shocks work in series, providing a variable spring rate that is lower and more plush in descend mode. Working in series also allows the rear wheel to pop over big, sharp bumps with virtually no resistance. Because the main shock becomes more progressive as the link engages, it won't blow through the travel and it won't bottom out. Extended Travel: Finally, Magic Link also has the ability to lengthen rear travel. In our Cadabra models, travel ranges from 100mm in climbing mode to 160mm when fully engaged. In our CoilAir series travel ranges from 125mm to 200mm. In our brand new 2+2 cross-country models, travel ranges from 50mm to 100mm.